This morning was much quieter than normal around our home. The end of the school year had finally arrived and there seemed to be a calmness in the house. For the first time in months I was not rushing to complete the morning chores and get to work on time. Instead of using a coffee pod, I actually had time to grind my own coffee beans, have an excellent cup of coffee and sit on the front porch before the rest of the world woke. Starbucks Canada sent me a sneak peek at the newest blend to hit Canadian stores just in time for Canada Day. Several months ago I announced a contest to name Starbucks Canada’s newest blend. I am happy to say the winner has been chosen and the blend in now available in stores across Canada! True North is the winning entry from the Starbucks Name Your Blend contest in late January. 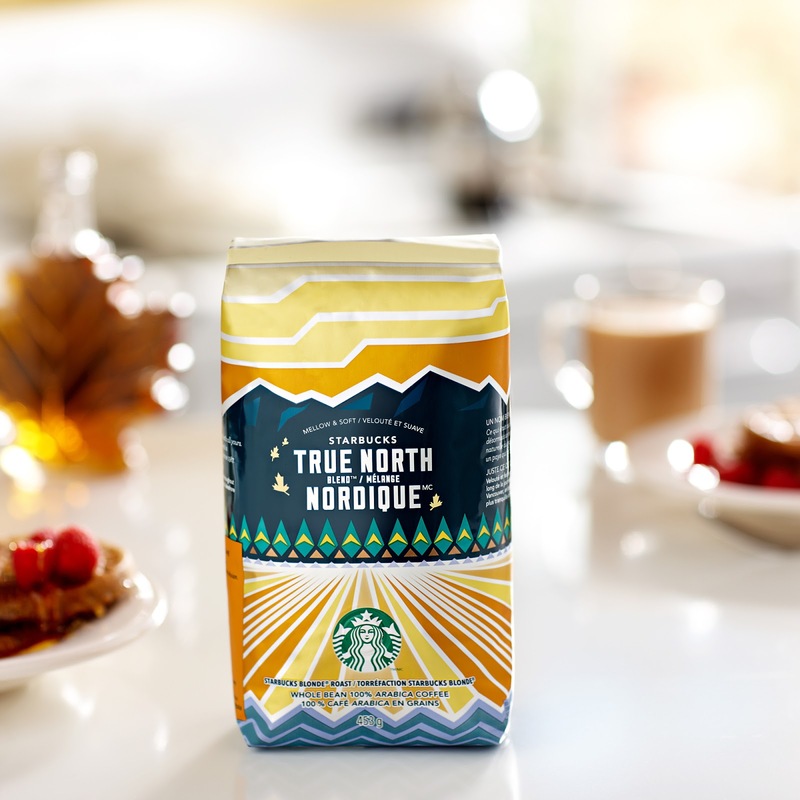 After more than 6,000 entries and 25,000 votes, the winning name and essay submission came from Toronto-based Starbucks customer Robert Jack., which describesthe name as ”inspired by the affinity Canadians have in their hearts for the ‘True North’ strong and free, no matter where they are in the world.” True North Blend marks the first time in Starbucks history that a coffee has been named and voted on by customers. In my cup this morning was the #TrueNorth blend. I found this mellow coffee to be perfect pairing with my my morning glory muffin. It is not a harsh tasting morning coffee but one that should be savoured over morning conversations about the adventures that lay ahead. Oh, Canada: Did you Know? 1. Canada is Starbucks largest market outside of the U.S. In fact, our first Canadian store opened in Vancouver’s Seabus Station in 1986 and was the first Starbucks Café to open outside of Seattle. 2. Canadians drink twice as much Starbucks Blonde® Roast per store than the U.S., which is one reason why Starbucks True North Blonde® Roast truly is Canada’s Coffee! I personally enjoy my #TrueNorth with a little honey & milk, just perfect. Have a happy Canada Day! ← Frap Tap Baby !